Week 81 and a later than usual blog- the reason? Hubby, the hairy hoolies and I managed to get away for a few days in our caravan- a well earned rest for all – but as is the norm for us, a trip to A&E for hubby at the end of the week! I had intended to do a bake to take with us but time just ran away, packing and ensuring we had everything we needed so I knew what I wanted to bake, I just had to wait a week to do them and no, I wouldn’t be baking in the van! 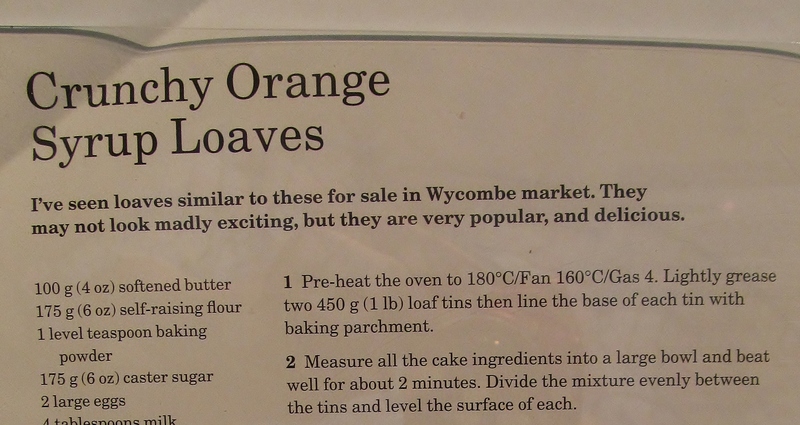 So I chose crunchy orange syrup loaves from Mary Berry’s Baking Bible. The recipe was really easy, it’s one of Mary’s throw all the ingredients together and mix and bake so off I set. 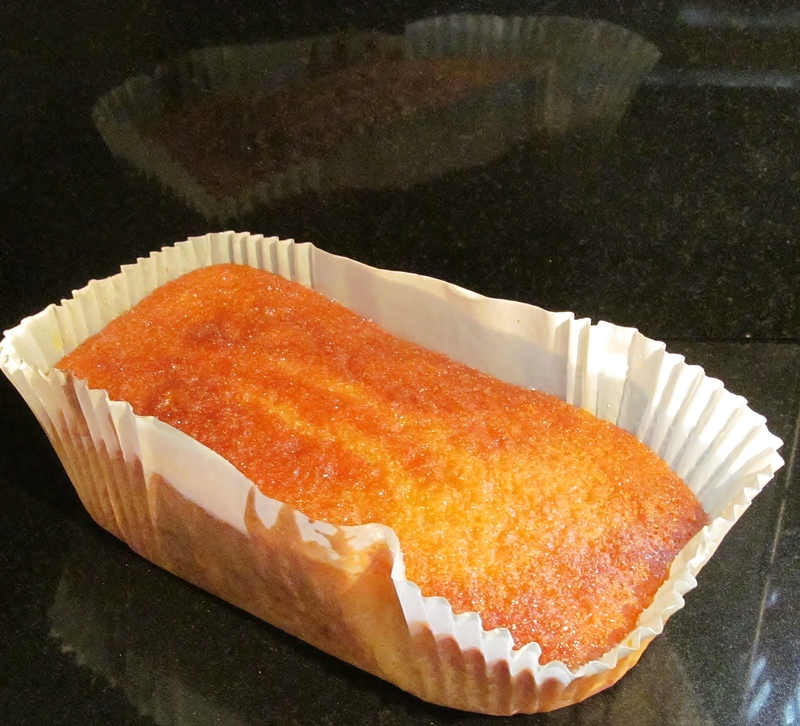 I used liner cases in two loaf tins and into the oven they went. While the loaves were baking, I had to mix the juice of one orange with some granulated sugar so that when the loaves are baked, Mary asks you to brush this mix over the top of the loaves while they are hot, then leave to cool. 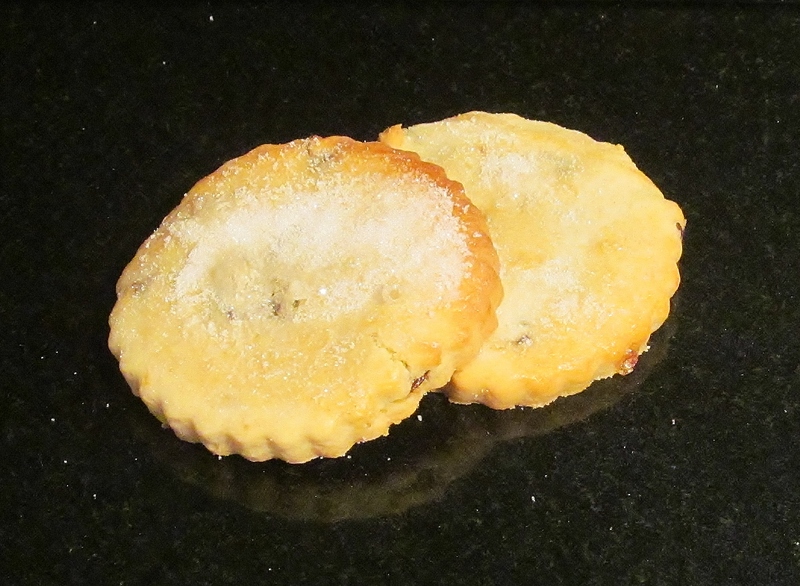 The second recipe I chose was Mary’s Shrewsbury biscuits which again, were fairly simple to make and the dough came together easily. Once the dough is made, roll it out to about half a centimetre and use the cutter to cut out as many biscuits as you can. Bake in the oven for about 8 minutes then remove, brush with some egg white and sprinkle with caster sugar and return to the oven for about another five minutes until nicely golden. The resulting biscuits I was rather pleased with, I just hope they stay crisp enough in the tin until they are all eaten. 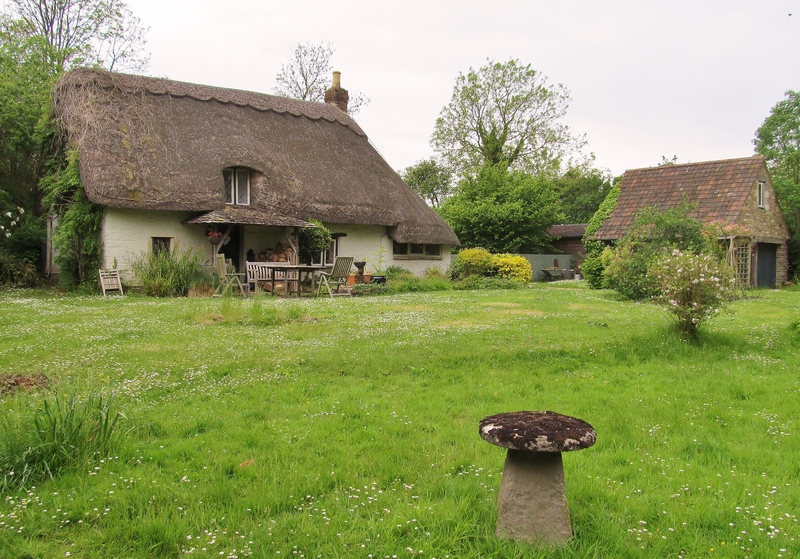 Hubby and I found a lovely cottage while we were away, tucked away along a bridle path. I had my little point and shoot camera with me and had to take a photo or two. It looks idyllic to me and I could picture hubby, the hairy hoolies and I living here quite happily. We didn’t get to see the inside of it and in some ways I am pleased about that as it is likely that it wouldn’t live up to the dreamy picture of what it should be like. I could definitely picture me baking in the kitchen and cream teas on the lawn with the hairy hoolies running around. This entry was posted in Kim's cake challenge and tagged Crunchy Orange Syrup Loaves, Kim's Cake Challenge, Kim's Crunchy Orange Syrup Loaves, Kim's Shrewsbury Biscuits, Mary Berry, Mary Berry's Baking Bible, Mary Berry's Crunchy Orange Syrup Loaves, Mary Berry's Shrewsbury Biscuits, Shrewsbury Biscuits by kimsideas. Bookmark the permalink. To be recommended………………………………….. early morning layin,comfy bed, telly on the wall, cup of tea and a couple of Shrewsbury biscuits…………………. grand . great prelude to a fry up.